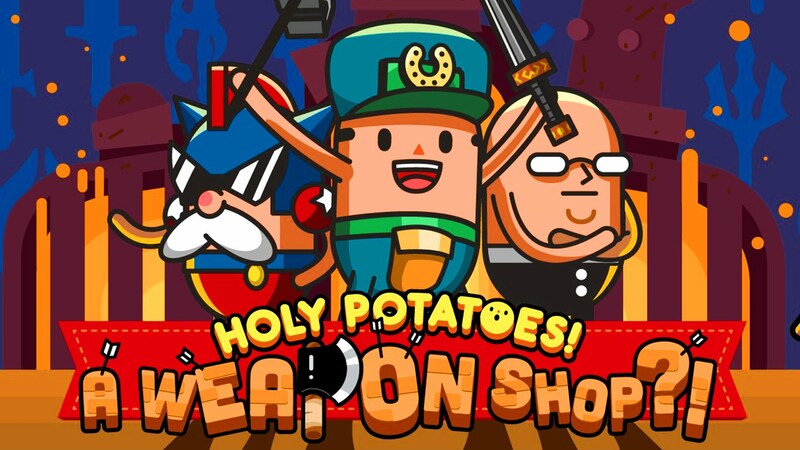 Rising Star Games is partnering up with Singapore Developer Daylight Studios to bring the Holy Potatoes! series to home consoles, including the Nintendo Switch. Three games in particular have been confirmed; A Weapon Shop?! We’re In Space?! and What The Hell?! These titles will be available digitally via the Nintendo Switch eShop and Playstation Store. Developed by Daylight Studios and published digitally by Rising Star Games, the Holy Potatoes!games are scheduled for release on Nintendo Switch™ and PlayStation®4 beginning in spring 2018. For more information follow Rising Star Games on Instagram, Twitter, Facebook, or visit the official Rising Star Games website.